Captain's Quarters Resort - 2 FREE Spring Nights! 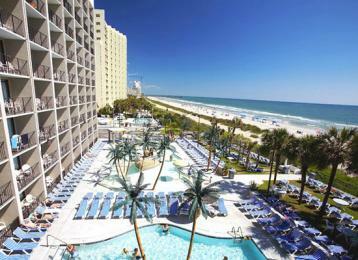 Named the #1 kid friendly hotel in Myrtle Beach where you can pay for 5 nights and enjoy 2 FREE! That's a 7 night stay for the price of 5! Enjoy an array of amenities including free Wi-Fi, Shipwreck Lagoon Kids' Waterpark, indoor poolscape, easy beach access, lazy river ride, hot tubs and more. For more information call 855-400-6932.